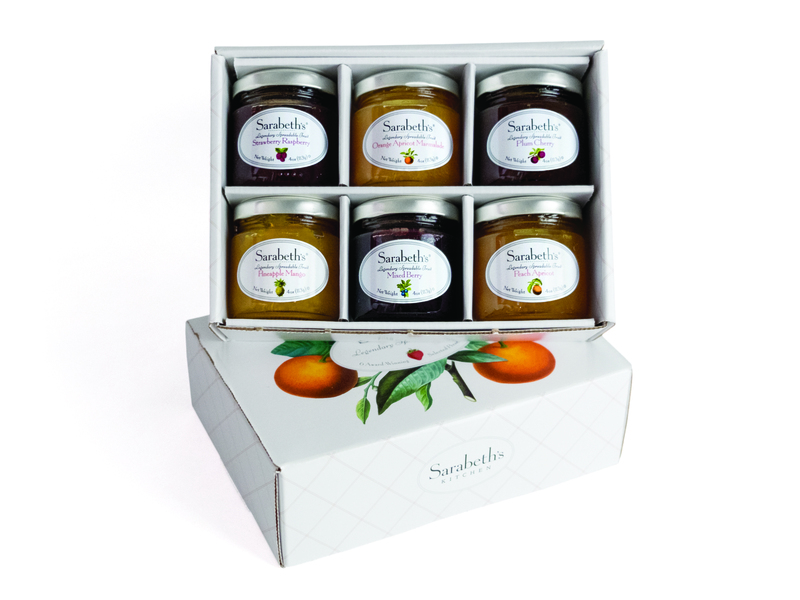 The most popular flavors in Sarabeth’s Legendary Spreadable Fruit make up this best selling gift item. It makes a sweet expression of appreciation for a kindness or favor well received, a dinner party invitation, or a birthday or Mother’s Day remembrance. Featured in the December, 2008 O Magazine as one of Oprah’s Ten All-time Favorite Gifts.